DOWNLOAD THE TUNE TALK MOBILE APP! Keep a close eye on your account with one easy to view screen. Add credit to your account when you need it. Reload with instant top up, voucher code, cash or molpay and auto top up so you will never go out of credit! 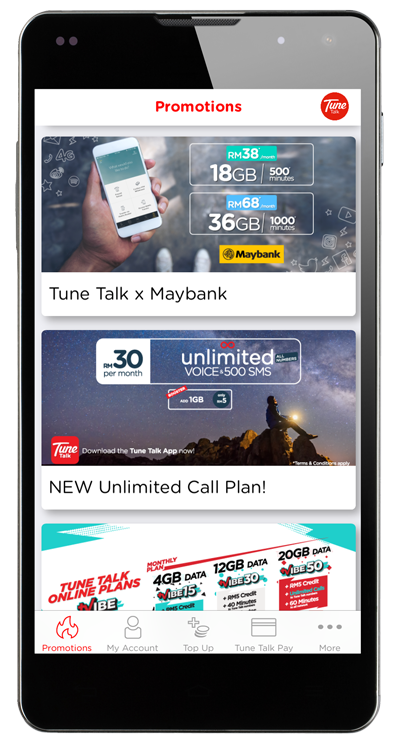 Order SIM through the mobile app and receive them in less than 24hours* Choose your favourite plan and purchase them on the mobile app. 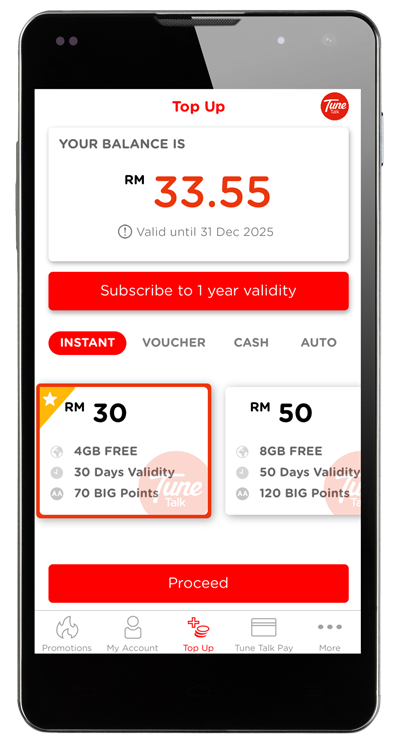 Activate your newly bought SIM on our mobile app. All you have to do is have your Malaysian Identity Card OR Passport with you, to be activated. 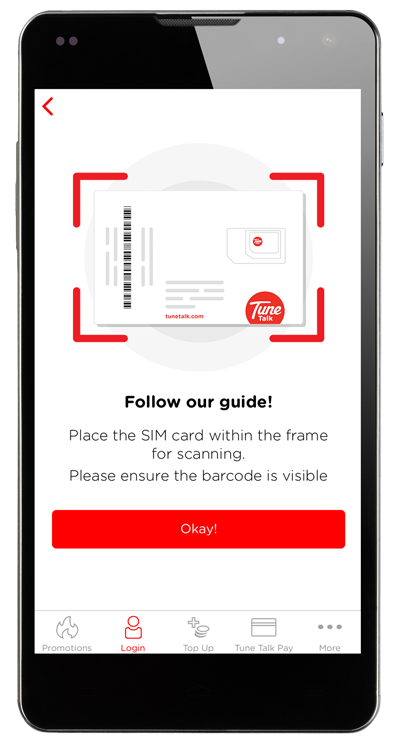 Follow our promotion closely to receive exclusive promotion or rewards for Tune Talkers only, from restaurants, café, concerts, events and many more! Insert your payment method of your choice, be it paypal, credit or debit card and make easy to checkout. 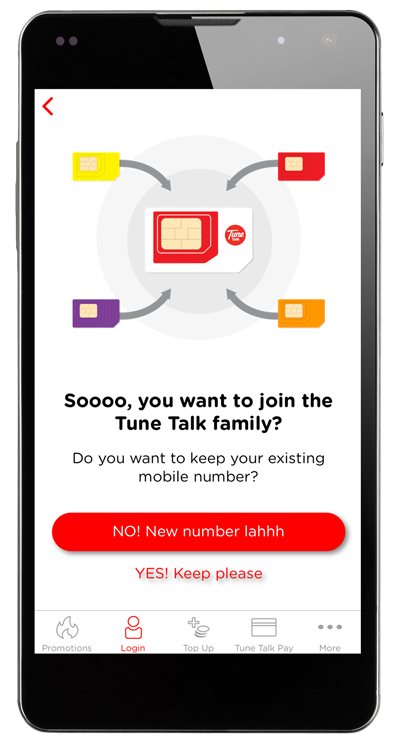 Download the Tune Talk Mobile App today to manage your account and number.